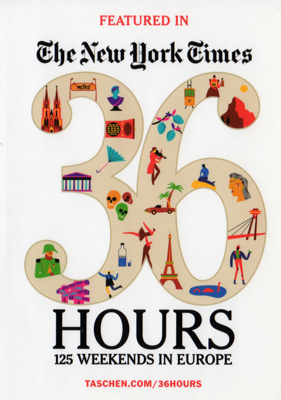 We're going to be featured in the upcoming Taschen book, The New York Times, 36 hours: 125 Weekends in Europe. Stylishly written and carefully researched, this updated and expanded collection of the popular New York Times 36 Hours feature includes well-crafted itineraries for quick but memorable European trips. Available October 2012.